SP welcomes our new contributor, Adam Berg! Adam is a writer from the Millennial age, and brings a fresh perspective to some of SP's activities. Technology, over the past two years, has vastly changed the way people meet each other and form relationships. As of 2014, Tinder, a dating app, where users "like" or "dislike" pictures anonymously of possible matches, announced that over fifty million people use the app every month, and every day twelve million people are matched. What makes this app unique is its utter shallowness. A user sees up to six pictures of their prospective match; if they like someone’s photos, and that someone in turn likes their photos, they get a match and can then chat with the hopes of possibly meeting. 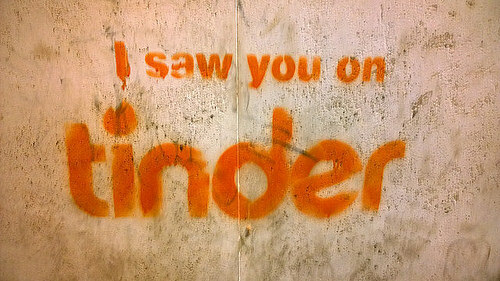 Some people use the app for one-night stands, while others are looking for quality relationships. Since Tinder, many other apps, such as JSwipe and Coffee Meets Bagels, which have similar features, have been successfully created. This technology has had insurmountable effects on current forms of communication. For starters, people have an easier path to find a romantic partner; however, that ease comes with the price of only meeting those others who use the same service. Dating sites are not a new thing, but as technology evolves, such services have gained a much faster pace. Unlike Match.com and its competitors, who take the time to pose questions to its customers that will help them find someone who matches their personality and interests, Tinder and its competitors have a near total focus on appearance. The effects of this shallowness on the fifty million, the majority of whom are between the ages of eighteen and thirty-two, are quite obvious, the worst of which being self-esteem issues from not acquiring matches, as well as lacking the proper knowledge necessary before meeting a new person. One of my friends met someone on Tinder. He drove half an hour to meet his "match" at a restaurant. Midway through his entrée, he realized they were not working out at all, probably because they went on a date solely based on looks and had no idea if they shared any interests whatsoever…. shocker. He needed a break and decided to use the restroom. In the restroom, he noticed a window. Through the window he climbed, never to see his "match" again. Walking to his car, he blocked her number, deleted her contact, and unmatched her from Tinder. If you were wondering, the answer is no: he left not a cent behind for the meal. Not to defend ditching a date, but in this age, where people use WIFI more and more to meet random people, ditches aren’t merely bound to happen, they happen. Many times, when you meet someone online, it turns out they are not the person they portrayed to you (I know, again…shocker). Millennials call the practice of using doctored photos and misinformation to trick someone into meeting you "Catfishing." When people meet face to face, suddenly reality comes shining through. Perhaps those six pictures you saw of them hid the fact that he has track-marks and missing teeth or that she wears large sweaters in the summer and picks her wart-ridden nose before shaking your hand. Sometimes, at the bottom line, people look out for numero uno and don’t want to waste hours of their lives on someone they know doesn’t stand a chance after the first second. Is ditching defensible, though? For most Millennials, when asked, the answer is a yes, but do it gently. Why that is I imagine is because of the current pop culture of the generation, where rappers compare all women to prostitutes and magazines on shelves are about self improvement, sports, and celebrities (I’ve never seen a magazine at CVS that read, “Top Ten Ways To Help Your Neighbor” or “This Month’s Best Charities”). Due to Facebook, Twitter, and other similar addictions, the younger generation can’t help but focus on elevating their status in life; although, this selfish drive's foundation can be blamed on the standard practices of America’s competitive educational system and capitalistic society…but that’s a different discussion. Instead of climbing through the window, my friend could’ve easily said to his date, “Listen, I don’t think this date is really working out.” And pulled out the money for the meal. Chances are, she was feeling the same way. If she actually thought the date was going swimmingly, oh well, she can’t win them all. He should’ve offered her an apology and bid her a goodbye rather than an invisible middle finger. In another scenario, the one where you know instantaneously she or he isn’t going to make the cut, and you’d rather not spend another second near their BO, cigarette breath, or spider-tattooed face, you have two options. In option one, you take a deep breath, realize you’re not the most important person in the equation, and spend a short date with them, perhaps in a way that helps them realize you aren’t right together. In this option, you might find out that their ability to make you laugh shines through their BO, and maybe they fill you in on their terrible day and acknowledge their BO, and give a reason for their BO; maybe their teeth are missing because they got in a fight while saving a woman from a mugger (you never know). Your second option is to ditch, and I say that is your right—we are in America—and the question is just the type of character you have and the person you want to be in this world. But, just as advice, so that you’re not as rude as my friend, when you’ve begun walking away and are about to get into your locomotive of choice, send them a simple text that says, “I’m sorry, but I don’t think it’s going to work out.” Plain and simple. In either option, you still make the split: one is slower but not cruel, the other is faster and rather cruel. Which option is better? Only you decide. They say Band-Aids hurt more when you rip them off slowly, but I know plenty of people who prefer ripping their Band-Aids slowly. Adam earned a BA in Philosophy from Skidmore College. Currently, he is a writer of children's stories, adult fiction, and poetry. You can see some of his other work on his blog at www.peacelovebergie.wordpress.com, or you can read his short stories in literary magazines such as Blunderbuss Magazine.